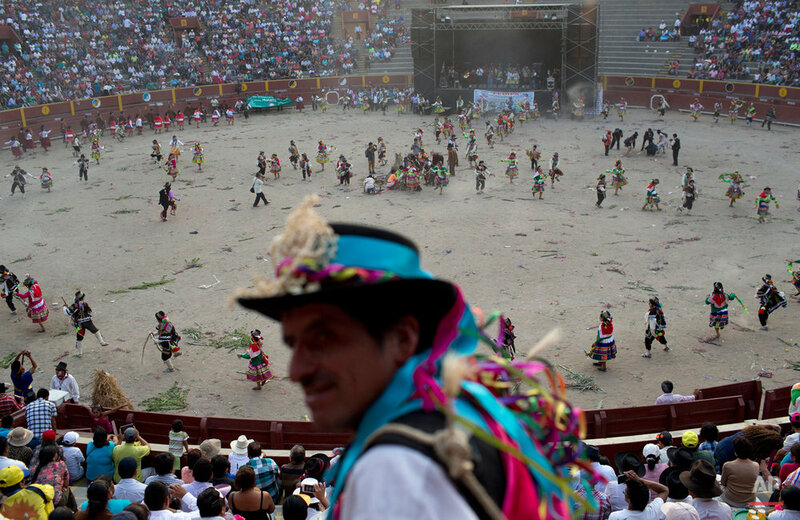 They danced all day, until the sun set over Latin America's oldest bullring. But these were not typical dances of Peru's highlands. Each contained macabre reminders of the bitter conflict that these migrants from the Ayacucho region, or their parents, had endured. The region suffered some of Peru's worst modern-day atrocities. A truth commission found that more than 8,000 people died violently there during the 1980-2000 conflict with Shining Path rebels. In Sunday's dances, people of all ages, costumed as farmworkers, tigers, foxes, soldiers, police and members of citizen militias portrayed life as they know it, from the planting of corn and potatoes and their harvest to the political violence that afflicted their communities. The festival is traditionally held the last weekend in March in Andean communities, and is also celebrated in Peru's capital because so many highlands people moved there fleeing violence. 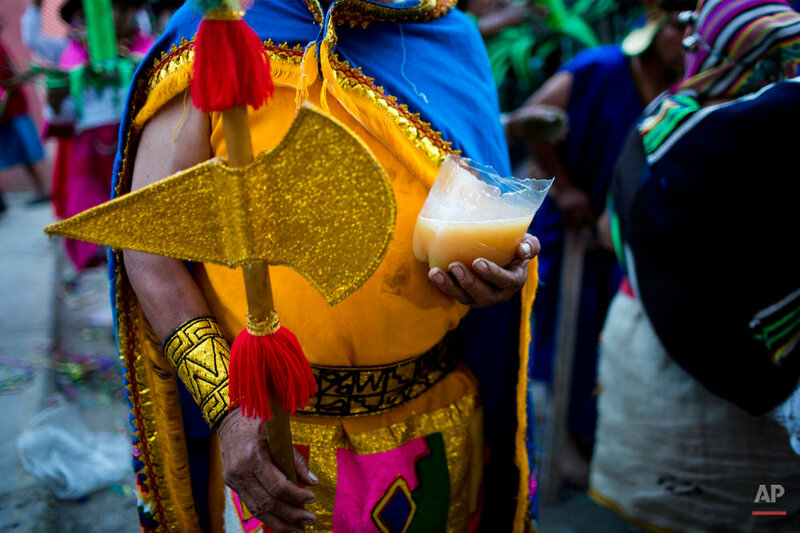 More than 9,000 spectators filled the stands of the Acho bullring, many drinking a fermented corn drink that goes back to Inca times called chicha. There was singing in the native Quechua language and traditional music played on instruments including Andean pan pipes, harps and violins. Laughter echoed from the stands as dancers mimicked human foibles. But the crowd fell silent when dancers clad as soldiers and rebels, wielding wooden and cardboard rifles, mimicked the killing of impoverished farmers. "The dance is a catharsis, a way for people to express feelings they cannot in other public spaces," said Peruvian archaeologist Carmen Cazorla, who studies Andean rituals. In the stands was Dolores Guzman, a 50-year-old street vendor and the lone survivor of a 1984 massacre in the community of Paccha, now a ghost town on the shores of the Apurimac River. "My heart was about to burst," she said of the performance. Guzman was just 19 when her husband was killed, prompting her to flee with their daughter to Lima. "All of us could have died, but the survivors are here, dancing," she said. "Although the sadness continues, the rage continues, the happiness also continues." 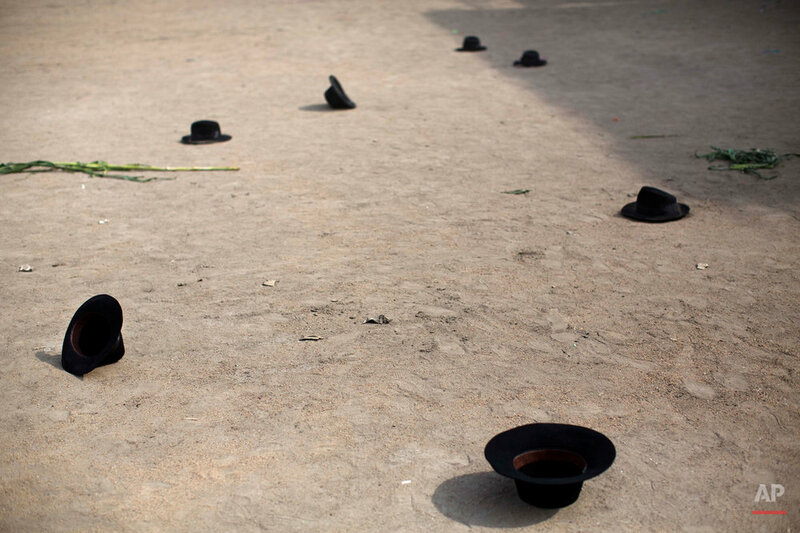 Text from the AP news story, AP PHOTOS: Violent past haunts Peru dances in Ayacucho area, by Rodrigo Abd and Franklin Briceño.